Hahahaha ignore my pretentious sunglasses-face. Fake Ray Bans (even says "Ray Bans" on it) for <S$10 from Bangkok's Union Mall! I'm contemplating getting a real pair of sunglasses because fake ones are bad for your eyes (cheap sunglasses have no UV protection at all but you feel like it's "dark" so your pupils don't constrict and you might even look at the sun/do things you normally wouldn't without sunnies). But if I did, I'd never wear my "cheap" ones anymore ): and my "cheap" ones are all cute/more interesting! And for people who keep asking about what school bag to get... I don't see why school bags are any different from normal bags leh. How small are your normal going-out bags?! Can fit a notebook + pencil case no? That's all you need for uni! You can always hand-carry your laptop or file; that's what I do. No one has "school bags" (bags you'd NEVER carry to town) like you did in secondary school/JC anymore haha. 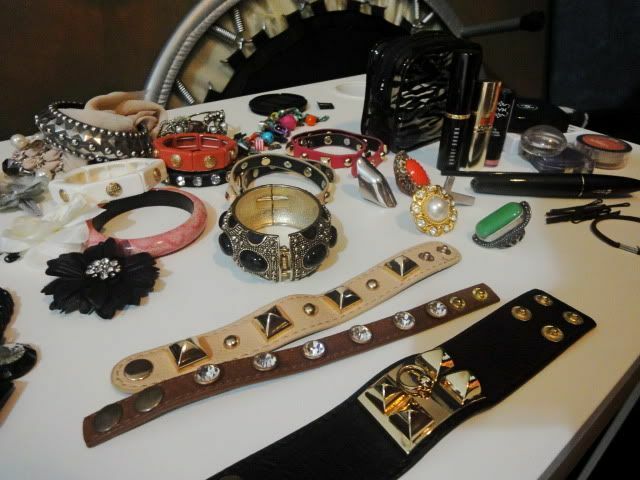 Some of my accessories! This is definitely not even half of what I own. Maybe 1/3 or 1/4? The ones shown here are not necessarily my favourites, but picked mostly because they're more "outstanding" (aka not really for layering)! Some of my makeup on the right; in a $2 Daiso zebra-print plastic pouch! I don't have fixed makeup items right now, which annoys the hell out of me lol. What I mean is that e.g. I use the light brown eyeshadow from the Chanel palette, a purple from a standalone Estee Lauder one, dark brown from a standalone no-brand one, and occasionally white from a The Body Shop palette. I hate that! 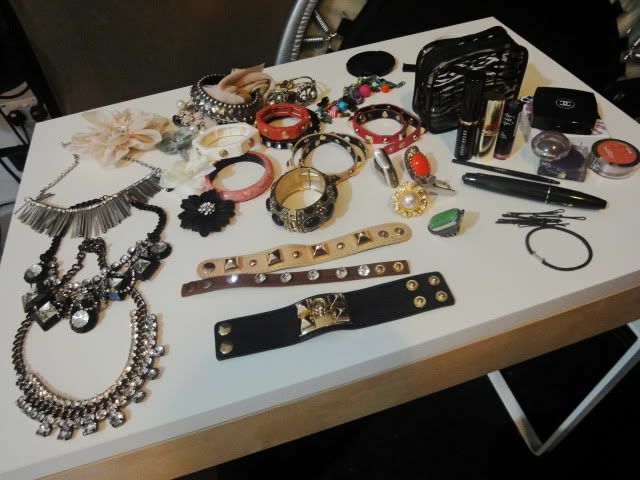 I must have 1 eyeliner, 1 blusher, 1 eyeshadow palette etc... and they should suit all my needs! But I won't buy anything new in the meantime till I use these up lol. Whenever I park at Alaric's condo I have to fill in a visitor's sheet. I was driving that day, so Alaric filled it in. 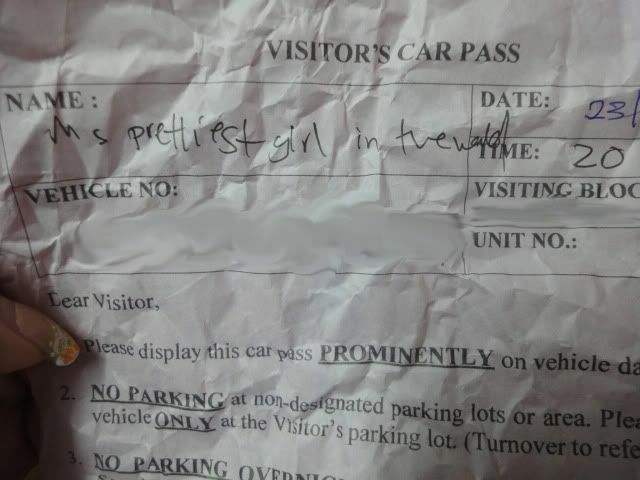 Aww at the "ms prettiest girl in the world". But no aww at the handwriting hahaha. I don't think I've ever really met any boys with nice handwriting. Sophie, like your prettiness so much. Why are you so skinny? How do you keep your body so slim and skinny? What Alaric wrote was so cute, haha.